Is A 17% Return On Investment Too Good To Be True? We’ve all heard the old axiom: If it sounds too good to be true, it probably is. And it seems like a good rule to keep in mind whenever you see a super deal being offered. But I don’t think of it that way. I’d rather say that if it sounds too good to be true, it requires an extra level of scrutiny. After all, I’ve benefitted from quite a few investments that were “too good to be true”, such as land parcels in Ecuador, apartments in Montevideo, or beachfront homes in Brazil. To me, “too good to be true” doesn’t rule a deal out… it simply calls for an extra level of caution. That’s why I decided to travel to the Simply Natural mango plantation last week. The forecasted 17% returns are enticing… but I really had to see the operation for myself before being convinced that the operators can pull it off. 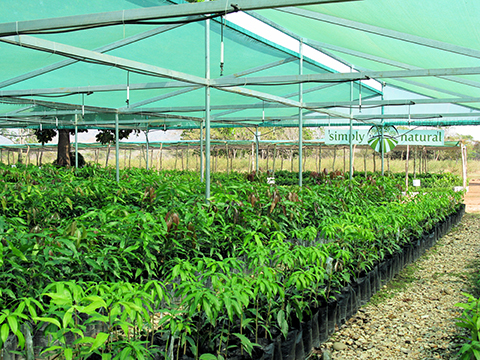 Investments in this plantation are passive… or “hands-off” agro-investments. You can read more about what that means here with respect to this type of investing. The operators are real pros. Alan Winstead and his brother Andrew are fourth-generation farmers who are leaders in the field of crop management and organic production. Water can be an issue with any agro-operation, but it’s in good shape here. 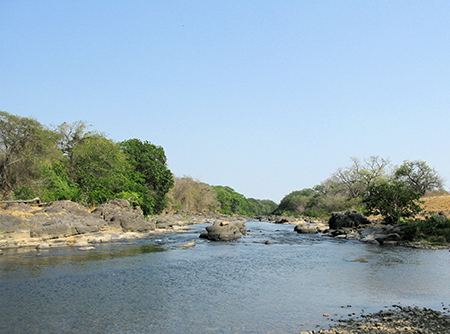 The plantation has three water sources. The primary source is rain and large catch basins used to store irrigation water. This is all they need most of the time. But by the end of the dry season in April, they often need their second source, the Rio Grande River. This year had an extreme dry season thanks to the El Niño weather phenomenon. Everyone is irrigating, yet the Rio Grande still has plenty of water for all. The third source is a system of wells on the property tapping into the aquifer below. So far, this source has never been required. I saw water as one of their biggest risks, but came away feeling reassured about its dependable supply. They recognize that their organic certification is a critical asset. The operators not only look after their own land—there’s a USDA inspection at least twice per year—but they also watch their neighbors. Simply Natural keeps an eye on the neighboring farms, they control the banks of the Rio Grande and monitor the four upstream landowners along the Rio Grande’s headwaters. Even roadside spraying is prohibited in their area. They’re on schedule. The participation in this offer has been huge, with a record number of investors. Yet these guys have remained on schedule, keeping up with the prepping and planting, so that investors reach their return projections on schedule. I’ve had a number of people point out to me that commodity prices have taken a beating recently. But organic products are different. In fact, the demand for organic products in the U.S. is growing explosively. As of this week’s USDA Retail Report, organic mangos are selling for US$1.50 each… up 20% over last year. And this plantation has an advantage over many other international plantations thanks to their proximity to the Panama Canal. To invest, you buy a one-hectare parcel of land (2.47 acres) at the Simply Natural Plantation. The land is yours, and you will receive title in your name. Alternatively, it can be titled in the name of your IRA or in the name of some other structure that you create. The price for each hectare at this time is US$38,500. 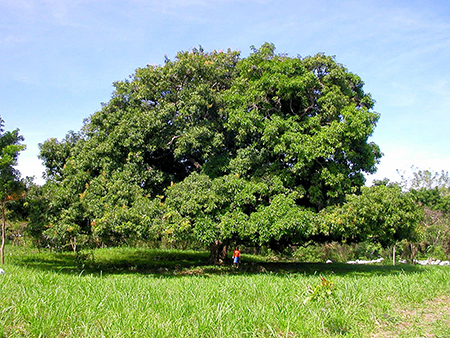 Simply Natural will clear and prep your land and plant 45 specially-bred and grafted trees. They will maintain your trees and irrigate the soil. The flowers will be trimmed to prevent fruit production for three years, so that 100% of the growth goes into the tree, rather than the fruit. In the second year, a process called intercropping will begin, where rotated crops are planted between the rows of mango trees in order to replenish the nutrients in the soil. At maturity, your trees will produce about 800 to 900 mangos each or between 36,000 and 40,000 mangos per year for each hectare. 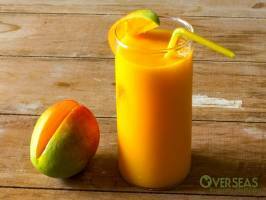 Simply Natural is responsible for the harvesting, sale, and exportation of your mangos. When the mangos are sold, 70% of the profit goes to you with 30% going to Simply Natural. There are a number of ways to look at the ROI for this investment. Mango trees produce for 60 to 80 years. But to be conservative, the earnings forecast is assuming only a 25 year lifespan. The mango trees will return nothing for the first three years, while the tree comes to full maturity and capacity. Once the trees have reached full production, the annual net yield is 27%. That works out to US$9,989 in net cash flow for each hectare of trees you buy. The Internal Rate of Return (IRR) averages your returns over all years, including the non-productive startup years. The 25-year IRR for this investment is 17%. These projections are based on selling mangos into the local Panamanian market rather than the U.S. organic market. If the U.S. contracts hold as planned, earnings will be higher. Here’s how I look at it: for the selling price of US$38,500, you could buy a large truckload of organic mangos at today’s price of US$1.50 apiece… or you could invest in a parcel that will give you those same 36,000 mangos each year for the next 60 years or more. Looking at it that way, it’s an amazing value. And I think they’ll easily meet or beat their production and financial projections. Follow this link to get more info on the mango offer from Simply Natural Investments. Editor’s note: Lee is in Panama City as part of this year’s Global Property Summit and is following up on some of the offers first-hand. This year’s event made a strong case for why agriculture should be an important part of every international portfolio, and the mango offer was one of several brought to the table by Simply Natural during the event. These presentations are, of course, included in the Global Property Summit Conference Kit along with two dozen audio recordings and slide shows. Today is the last day of the pre-publication sale offering the Conference Kit for 60% off its regular price. Additionally, readers of Overseas Property Alert are entitled to another US$50 off which adds up to a 70% discount. Simply use Coupon Code OPA50. It’s the last day for this discount. Follow the link to learn more about the Global Property Summit Conference Kit (remember to use Coupon Code OPA50). Thank you very much for your explanations on buying a property with an IRA. Do you know if it is possible to buy property overseas with a self-directed RRSP, which is the Canadian equivalent to the IRA? No. Unfortunately, there’s no legal way to buy overseas property with your RRSP. I am considering buying a condo at the Trump Tower in Panama City, Panama, in order to rent it long term. I would be interested knowing your point of view on the market there. Lief Simon knows far more about the Panama City market than I do, since he’s right there on the scene. Lief says that Trump Tower commands high purchase prices and has high monthly HOA fees, which combine to drive yields down. Trump Tower is located in Punta Pacifica, which I believe is a good place to invest for capital gain. But there are better markets for rental yields right now. The Panama City market, in many areas, is growing smartly once again. There are lots of current opportunities. Many readers are taking advantage of the property tours offered by Access Panama. As a newcomer to Panama, it’s the most-efficient way to see what’s on the market today, whether you’re looking for capital gain, rental income, or a second home. Follow link to learn more about Access Panama Property Tours. How refreshing that Santa Cruz de la Sierra, Bolivia is finally included in your places of interest, and adjudged by you, a person whose opinion we respect, as worthy of further investigation. As relative pioneers who invested here in 2006, we can heartily affirm that the country is decidedly on the path of extreme progress. The advances witnessed during our tenure are beyond impressive. As an example, take a look at the ever changing skyline. Each day, thanks to very creative, and competitive architects, a new, almost Disneyesque, magical skyscape is revealed, evidence of ever-escalating prosperity. Santa Cruz de la Sierra constantly embraces and encourages more sophistication, especially in the fields of business and technology, whilst simultaneously protecting its renowned natural resources and raw beauty all without compromising the colorful traditions, vibrancy and progress of its indigenous population.